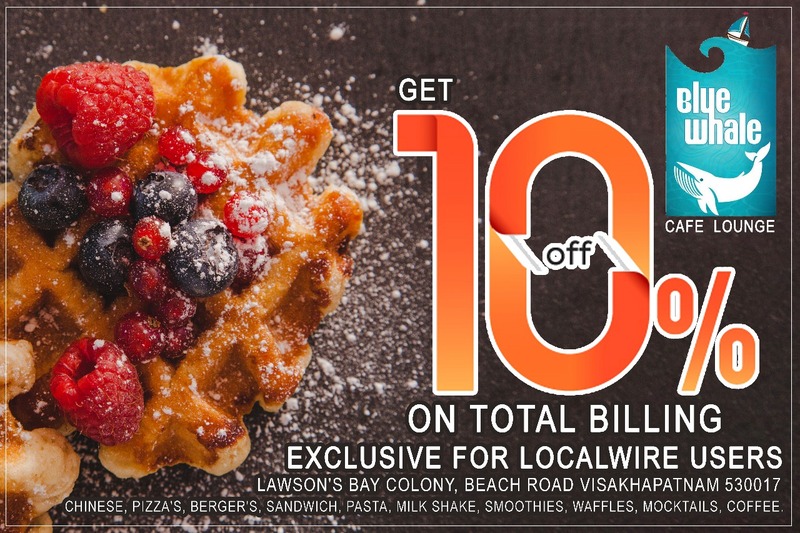 Get 10% Off on yummy Chinese, Pizza's, Berger's, Sandwich, Pasta, Milk Shakes, Smoothies, Waffles, Mocktails, Coffee and many more. This Offer is Exclusively for Localwire Users . HurryUp! Calim Now. Show the QR Code or SMS at Store to claim this Offer.